In this growing age of technological sophistication, blindness in the workplace is becoming increasingly difficult to accommodate. Computer proficiency has become synonymous with successful business, leaving the blind user struggling to remain relevant. Integration Technologies Group provides accessibility technology for the blind and training necessary to successfully integrate their adaptive devices in the workplace, at school, at home, or even on the go. Our extensive line of high quality accessibility products and professional staff of trainers are currently supporting blind users in several federal and commercial entities. Millions of Americans have low vision. According to the latest numbers from the National Institutes of Health, there are approximately 135 million people around the world that have low vision. Low vision is a visual impairment that can result from a variety of diseases, disorders, and injuries which cannot be corrected through the use of a prescription such as glasses, contact lenses, or surgery and that interferes with a person’s ability to perform everyday activities. 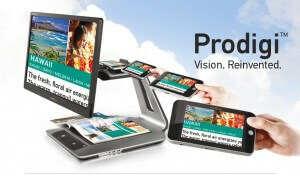 Integration Technologies Group, Inc. offers a wide range of accessibility technology, including low vision devices. ITG can provide low vision equipment that can help users read, write, and manage tasks of daily living, many with a variety of payment options. Accessibility technology for the visually impaired is progressing at such a rapid pace that many users now feel the frustration involved in learning how to use this new technology far outweighs the potential benefits. 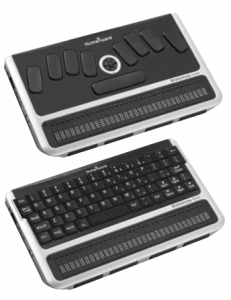 Braille devices such as Braille notetakers and refreshable Braille displays along with smartphones, tablets, I-OS devices, screen readers, book readers, low vision magnifiers, speech recognition software, Microsoft application suite, and countless apps are changing the way blind and low vision users interface with both the workplace and their environment. 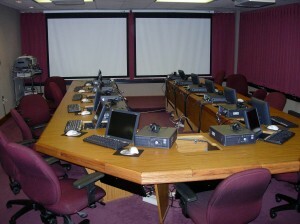 ITG recognizes the challenges that accessibility devices present and offers a state of the art adaptive technology training classroom in Falls Church, VA where professional training enables the user to master the operation of these devices and derive all possible benefits from their use. Visually impaired users rely heavily on adaptive equipment not just in the workplace, but in everyday life as well. Therefore equipment failure, and the corresponding lengthy repair process, significantly hinders both the user’s productivity and independence. ITG understands this burden and has prepared a Customer Care Plan specifically designed to accommodate the challenging requirements of the adaptive technology world. The Customer Care Plan is supported by a cadre of technicians, spare parts and logistics at the Fairfax VA facility to assure an expedited repair and return of these life enhancing devices.